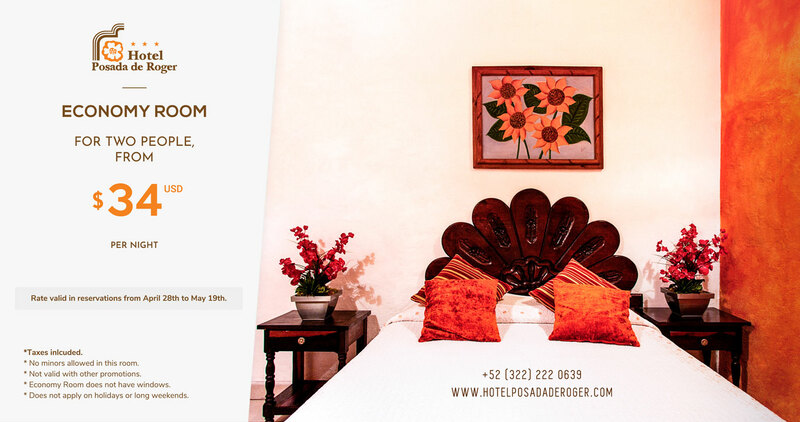 Enjoy our Economy room for two people for only $34 USD per night. * No minors allowed in this room. * Not valid with other promotions. * Economy Room does not have windows. * Does not apply on holidays nor long weekends. * Rate valid on April 28th to May 19th, 2019. Discounts from Our Published Rates . *1 or 2 rooms in courtesy for the coordinator. 32” Flat-Screen Cable TV, Telephone, Ceiling Fan, Free Wi-Fi.